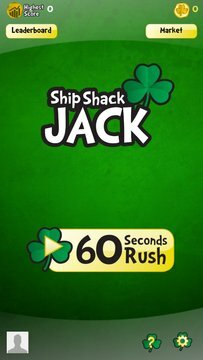 60 seconds of Ship Shack Jack Blitz! A different take on a classic Black Jack (21) game: You will be challenged by the dealer in a 60 seconds time rushed 21 game with random power-ups thrown-in to give you the edge! 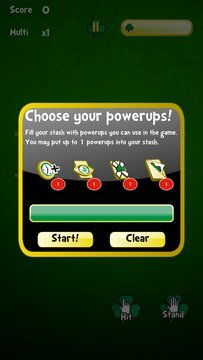 Use the market to buy, and upgrade your power-ups to maximize your scores, and compete with other players. See your ranking among players around the world on the global leader boards, or players in your local region, on the local leader board. Race to the top, and become number 1! - Next card: Use this power-up to see the next card on the deck! If you upgrade this powerup, next card will keep on showing for longer. - Time Extension: Use this powerup to extend your time. This powerup can be upgraded in the market to extend your time for longer periods. - Open Cards: Use this power-up and you will see the opponent's closed card. Upgrade it in the market to see the closed cards for longer.